The Gift of Saving - Life is so full of tae! This is the time of the year when the cash registers are singing the merriest songs and our wallets go on a diet. I am feeling the Christmas rush. Really. I never thought I'd find myself scurrying here and there, looking for the perfect gifts this Christmas. Just so you know, I am bad at giving gifts. I am a lazy shopper. I couldn't stand long lines and crowded places. I have no patience when it comes to gift conundrums. Gift giving would only make me feel pressured and anxious that I see myself treading on eggshells and I end up perhaps with an i-guess-this-is-okay kind of gift that it might look like I didn't give a damn about it. And the fact that I am a bit hesitant to pull out a few extra bucks from my already thinning wallet could sum me up as a bad gift giver. Or at least, that's how I see myself. You see, my workadas and I decided to give gifts to each other. Finding one perfect gift is difficult, let alone looking for five (and I haven't counted those for my family and four godchildren yet). We decided to put up a wishlist to make it easier for us. Apparently, the wishlist didn't work for me because I ended up buying what's not on their lists. 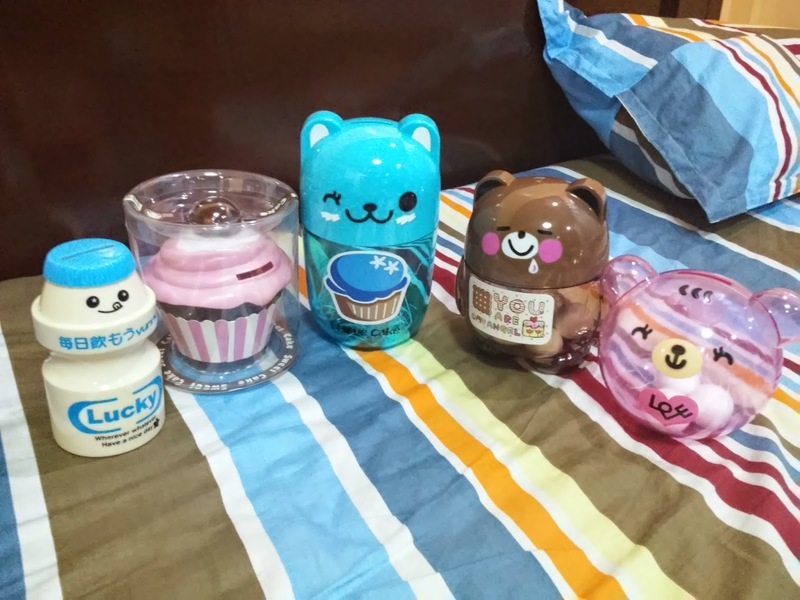 The cutest coin banks ever! Ever. Common as they are though, I hope they see it as more than just the cute coin banks. I hope this will teach them a thing or two about surviving a quasi-independent life, like saving and spending wisely. Not that they don't save. I believe they do. And not that I am just penny-pinching that I made this an excuse not to buy expensive gifts. I know my friends are happy with my gifts. It's not that grand. But at least they got something for the rainy days. And I know they'll thank me for that one day. 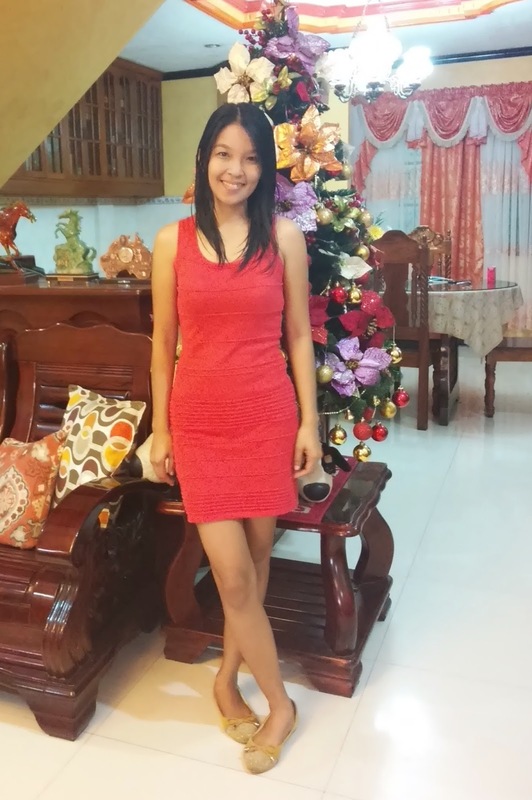 Anyway, here's what I have worn during our Christmas party. Thought I would share it because you seldom see me wear dresses. Haha. Minsan lang po ako nagiging babae.